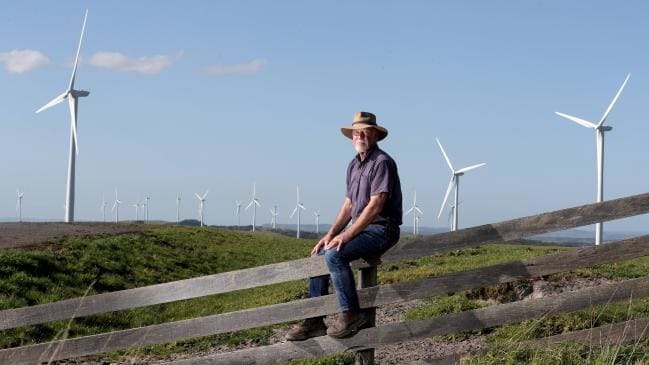 Sick and tired of soul-destroying wind turbine noise, a group of Victorian farmers have launched a class-action seeking $millions in damages. Their targets are the wind power outfit responsible and the Council that rubberstamped its development application, and which is responsible under Victoria’s Public Health and Wellbeing Act to remedy the noise nuisance created. Here’s a report from A Current Affair on what it is that drove them to take action. Tracy Grimshaw: In theory wind farms are a great idea but apparently not if you live near one. They’ve been blamed for everything from headaches and trouble sleeping to blurred vision, nausea, and panic attacks. These families want them gone. Danny O’Brien: I’m actually not your enemy. Community member: Knock yourself out. Danny O’Brien: Can you just … can you just let me explain please? Community member: You’re a duck shover. Martin King: It’s people power versus wind power. 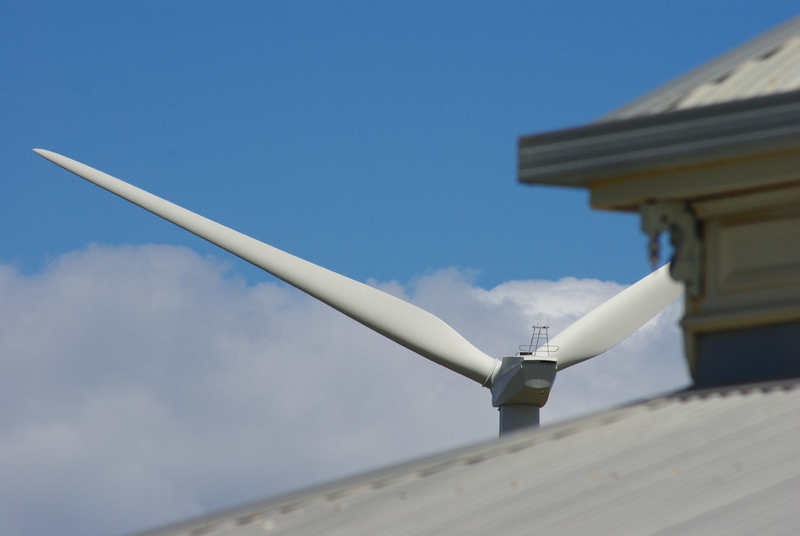 A quiet revolution against the creeping curse of wind farms near homes. John Zakula: Living here is torture. Don Fairbrother: I’m getting broken sleep. John Zakula: It’s a nightmare for me. Don Fairbrother: When I wake up, I end up getting a headache. John Zakula: Woof, woof, woof. It just drives you insane. Martin King: John Zacula claims a local wind farm is driving him out of his home. John Zakula: You can’t sleep, if you do get to sleep, then I’m awake in two or three hours and you can hear woof, woof, woof. I find my heart’s racing. Martin King: Down the road, Don Fairbrother says he’s all for renewable energy but not at the cost of his health. Don Fairbrother: We need to be able to sleep in our houses. We’ve got the rights like everybody else in the community. John Zakula: And it’s like, you know, the sound is like, you know an arriving train. The train just arrives but it never stops arriving and it just roars the whole time. And it cycles, there’s pulsations. Martin King: Can you hear it? John moved here to the country when he retired as an engineer, for the peace and quiet. But four years after he moved here, the wind farm moved in and the peace and quiet moved out. Now John says at least once a week he has to jump in his car and drive kilometres away just to find some serenity. Even, sleep. Martin King: This is your retirement. If you’re an engineer, you’re a smart bloke. Martin King: And yet you come and get here in your car, it’s ridiculous. John Zakula: No, it’s becoming unbearable and I’m, you know, I don’t know what I’m going to do. Martin King: 80k’s away Jackie Schneider knows the feeling. A wind company has applied for giant turbines and locals believe Victorian government approval is a formality. Jackie Schneider: How can they do this to people? How can they allow these things to be this close to people’s homes? Sorry. Martin King: This is South Gippsland in Victoria, a little place called Alberton on the way to Wilson’s Prom. It’s beautiful country, rolling hills, green pastures and dairy herds where the wind comes from the sea. But locals fear that it’s hasta la vista for these regal vistas and goodbye as well to their peaceful lifestyles. Martin King: Jackie, are these wind turbines are different aren’t they? Jackie Schneider: Yeah, there are going to be 200 metre high towers. They are huge. Martin King: Are these the tallest that have been so far in Australia? Jackie Schneider: Yes. Twice the size of the ones at Toora or Bald Hills. Martin King: So, 200 metres is like having a skyscraper in your backyard? Jackie Schneider: Yeah, we’ll be looking up. Looking up at them. Martin King: And hearing them. Jackie Schneider: And hearing them. Martin King: In Victoria the law stipulated that turbines must be at least two kilometres from houses but the Andrews government changed that to one kilometre. Martin King: Jackie where’s the nearest wind turbine going to be? Jackie Schneider: Just out there. Martin King: 770 metres? It’s happened because the wind company Synergy Wind submitted its application before Jackie and her husband Rick, hadn’t quite finished their home. Jackie Schneider: Because we don’t have a certificate of occupancy, this house doesn’t exist to them, so they can put the tower … their towers where they want. Martin King: Possible health effects on her children 12 week old Jake and nine year old Claire are already stressing the young mother and her husband Brad, a dairy farmer. Jackie Schneider: I wouldn’t be able to do that to my children. I couldn’t bear the thought of allowing it to happen to them. You know, to us this basically devastating. Martin King: Concerned locals called a town meeting and Jackie was first to put her hand up. Jackie Schneider: This is our livelihood as well. I actually suffer from migraines. So, for me it would mean the end of me even living in the area. Community member: You did not release a media statement and that pisses me off. Martin King: The only pollie present, the local national party member Danny O’Brien said he hadn’t done anything because nobody asked him. He got a hiding. Community member: I want to know. You’re a duck shover. Community member: Good project, wrong place. Community member: I’m totally against it, mainly for the community. It’s very divisive. The whole way that the project has been set up is very secretive. Community member: It’s not in Gippsland because its far too heavily populated and this is an area which there should be no wind farms. Put them in central Australia, put them out to sea. John Zakula: I’ve made a real mistake in having built the house here. Now that these devices are operating down here. They basically made my life intolerable. Martin King: John also supports the concept of wind farms but with a buffer of five kilometres. These turbines are virtually in his backyard. They moved in four years after he did. From living in peaceful retirement to the war room, the big fella’s not going down without a fight from the wind companies to the Victorian government. He says he’s sick of being sick and sleepless but are John, and Don and others in the minority or imagining it? Martin King: Dr. Branko Zajamsek from Adelaide’s Flinder’s University says no. Dr. Branko Zajamsek: People are predominately complaining about physiological distress, lack of sleep, headaches and various other, but minor physical symptoms. Martin King: It might look like a torture chamber but it’s all for the common good. These human guinea pigs are being subjected to the sounds of wind turbines. It’s part of a five year study funded by the federal government, where researchers are measuring brain waves and cardiovascular health while people sleep. Dr. Branko. Zajamsek: Noise from wind farms can travel up to several kilometres away from a wind farm and can still exceed regular noise significantly and be audible inside a household at that distance. John Zakula: I’ve complained for several years. They investigate the complaint and the conclusion is, there’s no problem. Martin King: Don Fairbrother says wind farms have another distressing effect, they divide the community. Don Fairbrother: There’s a social division in our community that didn’t exist before. Martin King: So, it’s not farmers helping farmers as they did before, it’s farmer versus farmer? Don Fairbrother: In a sense it’s farmer versus farmer. Martin King: And there’s big bucks for the farmers who agree to host turbines. Don Fairbrother: $10000 to $12000 per turbine per year. John Zakula: I’d be better off if I was living back in Melbourne again. It’s quieter in Melbourne than it is here. Tracy Grimshaw: Synergy Wind says noise levels at the Alberton wind farm are predicted to be within the national guidelines. But that’s little comfort when the World Health Organisation recently confirmed that wind farms producing excessive noise could cause heart disease. John and some neighbours are planning legal action. Don Fairbrother: just one of the Bald Hills plaintiffs. John Zakula is the lead plaintiff in the first of what will soon become a raft of class actions was kicked off by a group of Victorian farmers from Gippsland – including Don Fairbrother (above), who are pursuing action in the Supreme Court of Victoria, seeking $millions in damages from the developer and Council. 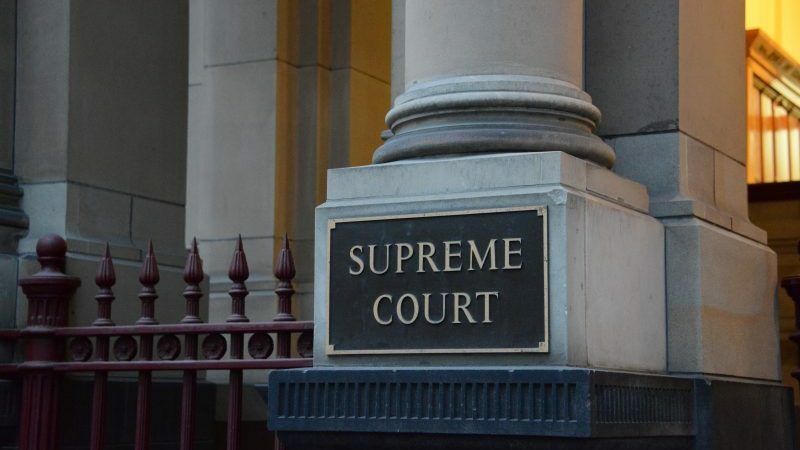 The litigation that has broken out in Victoria, coupled up with the WHO’s new noise Guidelines – which add wind turbine noise to its list of industrial noise health hazards – has rattled the wind industry and all those who are legally responsible for those forced to live with wind turbines in their backyards. As the number of wind industry victims mounts, the number of potential plaintiffs ready to exact revenge increases, too. The BBC series Windfarm Wars (2011) continues to offer an insight into how the wind industry defends itself. The lawyer for RES (Renewable Energy Systems) UK, Marcus Trinick offers up these closing remarks to the planning panel in the program. “New renewable energy projects may not appear to convey any local benefit. But they provide crucial national benefits. These wider benefits are not always immediately visible to the specific locality in which the project is sited. However benefits to the society and the wider economy are significant. And this must be reflected in the weight given to these considerations by decision makers in reaching their decisions, and I ask you to grant planning permission for this development. Thank you”. Marcus Trinick is revealed to be of some considerable interest in the program. It turns out that he is 2nd in command of the BWEA British Wind Energy Association (RenewableUK). He knows a lot more about wind planning laws than your average lawyer. He wrote some of them. CO2 is constantly used to justify the wind development. In another scene, Dr. Ian Maise, CEO of RES at the time, is seen to state at a wind energy conference. In my opinion, of course he is suggesting removing them. He would run over them with a steam roller if he had the chance! To any lawyers thinking of taking this industry on, I would certainly be researching the likes of Marcus Trinick QC in building your case. Their record in the past has been appauling when comes with the noise issues that people are having affecting their sleep and health problems. This man made claimant change corrupt scam is the biggest hoax of all time. When is the government going to have the spine to fetch an end to all this crap which is making life a misery. I hope someone will listening to me regarding the torture Industry in Aberglasslyn. Unlike the community member who says ‘good project, wrong place’ I cannot think of any good reason to build a wind farm anywhere, whether it’s cost, efficacy or unfounded claims of reducing emissions but the one thing that really makes my blood boil is the complete ruination of people’s lives and health without any acknowledgement of that fact whatsoever. Slowly but surely this reality will become common knowledge and the compensation owed to impacted residents will start to flow, but get your claim in early because this wind farm scam will see all these developers bankrupted in the fullness of time.